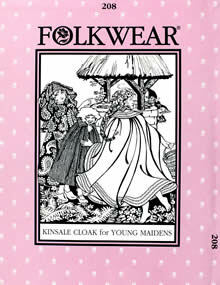 The little sister to Folkwear's best-selling romantic cloak for adults (#207 Kinsale Cloak). 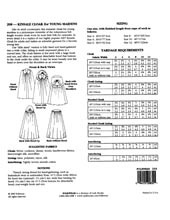 Full-length garment fastens at the neck and features a detachable, loosely fitted hood. Pattern includes historical lore, notes for handweavers, and instructions for finishing touches. Girls 2-12.